Trump’s Tariffs on Canadian Newsprint Are Overturned | Newspaper Target Marketing Coalition, Inc.
WASHINGTON — The United States International Trade Commission on Wednesday overturned a Trump administration decision to impose tariffs on Canadian newsprint, saying that American paper producers are not harmed by newsprint imports. The unanimous decision by the five-member body eliminates tariffs that have been in effect since January, handing a win to small and medium-size newspapers, which have struggled to absorb the cost of higher newsprint and have made cuts, including layoffs, as a result. The Commerce Department imposed tariffs as high as 20 percent on newsprint from Canada after North Pacific Paper Company, a paper mill in Washington State, filed a complaint alleging that subsidies the Canadian government provides to its manufacturers put American paper companies at a disadvantage. Details of the commission’s findings will be published by Oct. 8, the statement said. The decision will allow Canadian paper providers to stop paying tariffs that had already caused widespread damage in the struggling newspaper industry. 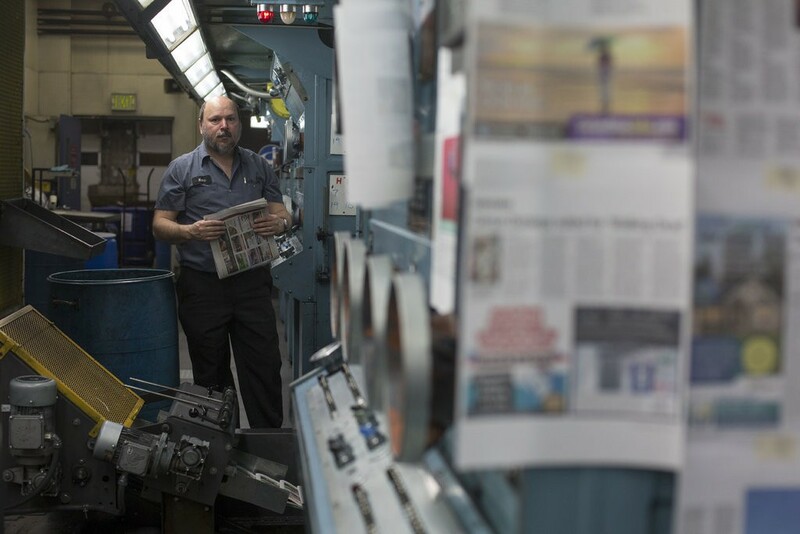 Dozens of regional newspapers across the country have cut staff, reduced the numbers of days they printed and, in some cases, closed entirely, unable to contend with the increased costs. But “there is a lot of damage that has been done,” added Mr. Johnson, who is also the owner and publisher of three weekly newspapers in Wisconsin. The decision by the commission deals a blow to the North Pacific Paper Company, which filed a complaint last year arguing that dumped and subsidized imports of uncoated groundwood paper from Canada were depressing prices and eroding profitability. Norpac was the only manufacturer to file a complaint. The rest of the industry has blamed the declining print newspaper business, rather than Canada, for its struggles. The situation thrust Norpac and its owner, the private equity firm One Rock Capital Partners, into the spotlight as newspapers complained that their costs were surging as a result of the tariffs. One Rock, which is based in New York, bought the mill in 2016 and, according to people within the paper industry, most likely paid a premium for the business in hopes that it could make the case for tariffs and boost the business’s revenue. Now it appears that bet has been lost. The ruling was welcomed by the Canadian manufacturer Catalyst Paper Corporation, which had been exporting more than 425,000 metric tons of newsprint into the United States before it was singled out and hit with the heaviest levies. While the tariff ruling offers a reprieve to newspapers, publishers say it may not result in jobs coming back or pages being restored. Instead, it probably just accelerated cost-cutting that would have eventually occurred anyway, given the industry’s declining readership and revenue. Members of Congress, many of whom protested the tariffs, praised the ruling, citing the important role the small newspapers play in their communities. Lawmakers on both sides of the aisle had lobbied the commission to rule against the tariffs, citing the damage they would inflict on local newspapers, and Senator Susan Collins, Republican of Maine, had introduced a bill that would pause the tariffs while a commission studied their effect on small papers. John Newby named new NAC Executive Director!